Interestingly, Singh did not refer to demonetisation while enunciating the measures taken by the government to curb black money. 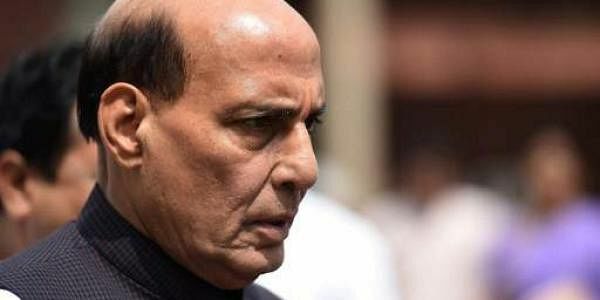 NEW DELHI: Sounding bullish on the state of economy, Union Home Minister Rajnath Singh today said the Centre was hopeful of crossing the hurdles in rolling out GST from April 1 next year. "We are trying to implement GST from April 1. There are some hurdles but I think we will find a solution. GDP may see a rise of 1.75 per cent to 2 per cent due to the implementation of GST," Singh said. Interestingly, he did not refer to demonetisation while enunciating the measures taken by the government to curb black money. "As far as the question of corruption and black money is concerned, the government has started working from day 1. In the recent past also, some actions have been taken in this regard," Singh said during a conference on 'Defence Production' organised by trade body ASSOCHAM here. He said the Indian economy was the world's fastest growing despite global trends not being positive. "In 10 to 15 years, Indian economy can be among the world's top three economies and the government will do whatever is needed to make this happen," Singh added. "As far as the question of corruption and black money is concerned, the government has started working from day 1. In the recent past also, some actions have been taken in this regard," he said.